Get the Real Madrid kits UCL 2016/17 Final (Cardiff) for your dream team in Dream League Soccer 2017 and FTS15. Real Madrid is the most successful club in the EUFA Champions League. So far they have won the championship trophy 12 times. More UCL trophy than other clubs. In UCL 2016-17 final, Real Madrid face Juventus at the Millennium Stadium in Cardiff, Wales on 3 June 2017. More interesting for the 12th Real Madrid championship is that the sensation striker Christiano Ronaldo was crowned as the top scorer with 12 goals overall. 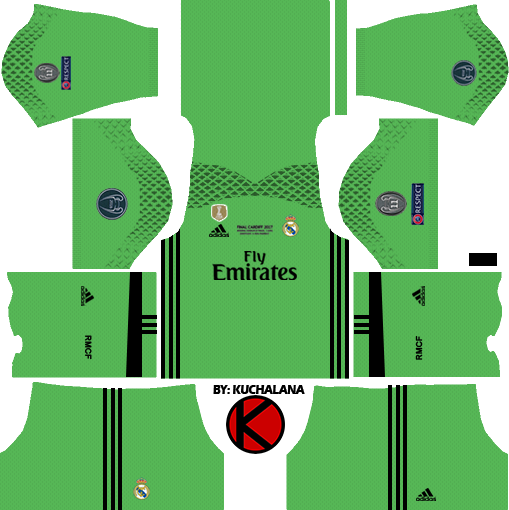 4 Komen untuk "Real Madrid Kits UCL 2016/17 Final - Dream League Soccer"